Pennsylvania has invested a multi-million dollar grant to a project that will provide affordable housing in Philadelphia for members of the lesbian, gay, bisexual and transgender (LGBT) community at risk of homelessness. 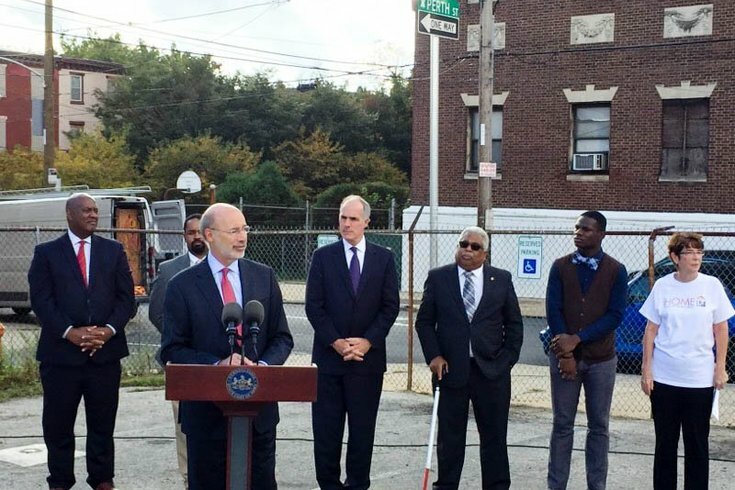 Governor Tom Wolf and U.S. Senator Bob Casey announced Friday that the $3 million investment for a Project HOME facility will be provided through the state's Redevelopment Assistance Capital Program (RACP). Project HOME is a non-profit organization based in Philly that helps individuals break the cycle of poverty and homelessness. The money will help developers construct a four-story, 36,000 square-foot building at 1315 North 8th Street in the city's Kensington section. The LGBTQ-friendly complex will feature 30 one-bedroom units of affordable housing for young adults who are homeless, have experienced homelessness, or are at risk of homelessness. Residents will also have access to employment, education and health care services. Sister Mary Scullion, executive director of Project HOME, said the building is the first phase of a two-part, $27 million project at the location. According to the group, about 12,000 people receive access to shelter in the city each year. That number does not include people who were turned away. Construction on the project is scheduled to begin in the spring of 2017.